Thought we would republish this post from early 2013 as some of the information is still helpful and we’re always wanting to avoid those fees! This past month, when I went to pay my mortgage, I noticed that they were charging me an extra $7.99 fee for paying my balance due. I thought this was odd, so I waited until this month’s bill showed up. To my disbelief there was still that nasty $7.99 fee. I thought I better call my mortgage company to find out more. After a short conversation with the rep she said that this was due to charges Western Union was charging the mortgage company to transfer my money. I asked if there was anyway around these charges (I’m just trying to be thrifty! :) ). She said I could sign up for automatic monthly transfers or their bi-weekly payment plan. I personally didn’t like either of these plans, because I like to fluctuate how much I pay when I have more money to apply to my principal. In talking with the rep I realized that so often we can overlook these smalls fees that can really add up over time. I realized that over the life of a 30 year mortgage that this $7.99/month fee could end up costing my family $2876.40!!!! That’s not chump change by any means. It again reiterates the need to look over all your bills and receipts for those common missed fees that can add up. Here are seven fees you need to be on the look out for, because they are looking to take advantage of your wallet. 1. Overage Charges – are you frequently going over your phone minutes, texts, or data usage plans? Check out your last six months of bills and make adjustments, because these fees add up. Also most cell companies offer notification services of when you are getting close to your limits. Many MVNO plans contain no hidden fees. Check out our Tello, Ting, Twiby, Republic Wireless OR UNREAL Mobile reviews. 2. Taxes, Government Surcharges, and Fees – last month I checked my cell phone fees in preperation for this post. With my current provider they hit me up for $4.86/month or 6% of my total bill in these extra fees (see my actual bill to the right). If you switch to Virgin Mobile (Virgin Mobile Review 2013), Tracfone, or Net10, then you can avoid a lot of these surcharges and fees (but not all). 3. HD Charge – do you have an HD TV? Are you unsure or are you unsure what cables ensure you get HD reception on your TV? If so, then you might be paying for an HD receiver that you aren’t using. Here is a great short video on how to tell if your TV is HD ready. 4. DVR Charge – Cable companies also offer receivers with DVR, but this comes at a monthly charge or rental fee. With my current cable provider they charge me $10/month, but some companies offer the option to buy your DVR unit. The other option is to look at buying your own DVR service like TiVo Premiere. 5. Reserving an aisle seat fee – who would think reserving an aisle seat would actually be a fee that airlines could charge you for? Yep! Virgin Atlantic is charging $75 for an exit row seat, and Delta charges $15 for some of these same “premiere” seats. 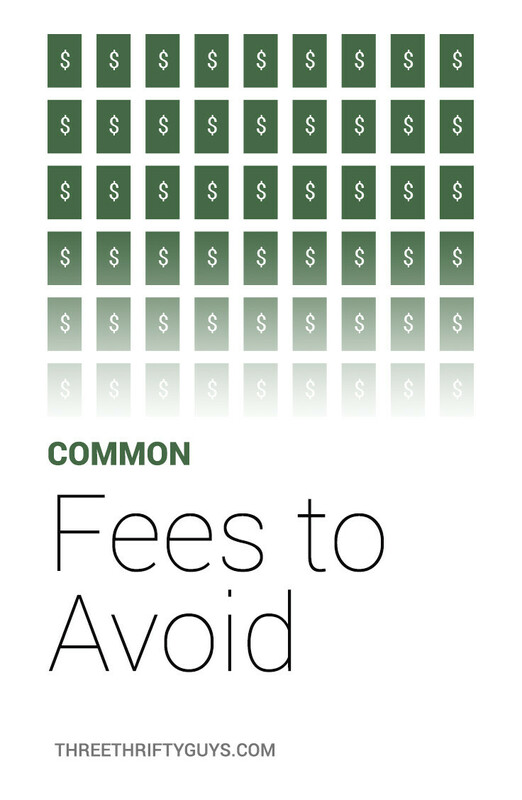 Make sure you don’t get caught off guard by these fees! 6. Baggage Fees – about a month ago I booked a flight for my Grandma on a low grade airline that had really good rates for direct flight in the area where I live. Unfortunately, when I went to go check out there was a $50 fee for the first checked bag, and $25 for each carry-on bag. These extra baggage fees quickly made the tickets non-competitive compared to what other airline carriers were offering. Make sure you check for these fees next time you book an airplane ticket, because you may not be getting the best deal! 7. Early Mortgage Payoff or Online Fees – just like I encountered with my mortgage company they are doing everything they can do to either recoup costs or capture more of your money before you payoff your mortgage. During initial financing or refinancing be sure to ask if there are any early payoff fees or charges. Knowing this upfront (and having that in writing) will help ensure you can get to financial freedom faster! Well, these are just a few common missed fees that I see on a regular basis. 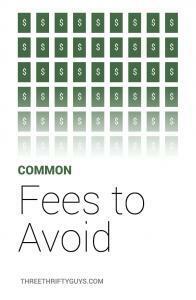 I’d love to hear from some of our readers on what common fees you see on your bills or receipts! Are Internet Providers Going to Charge for Data Usage? My husband opened a checking acct at a bank and was told that it was free….No fees at all. After a year, this bank was charging a fee for not keeping an average dollar amount in it. I looked online for details and sure enough, there it was stated. I told my husband and he argued each month with the bank. I’m not sure of the outcome just yet, however. He mentioned closing the acct. I like our water “availability” fee for our water usage. It used to be a consistent $25/mth but has increased now. We’ll use $10/mth in water and pay $75 in fees. That fine print will get ya! We had that happen too on one of our banking accounts. Switched it over to a money market acct to avoid the fees. What’s a water availability fee? @Charlie….Thank you…I hadn’t thought of paying through my bank on-line…duh. Love all your thrifty info!!!!! My mortgage just got sold to a company that is charging $12.50 to pay my mortgage on-line! I see no way aroung this except to be sure to get a check in the mail at least 10 days in advance of due date!! Susan great question in my case I decided to pay online with my bank through Bill pay and they automatically send the payment between the first and fifteenth. @Bill – Thanks! It’s seems like credit card companies are becoming sneakier and sneakier! Doesn’t it? @Christian – I would have left that bank as soon as they said they were going to charge me $1 for every check! @Natalie – I think cell phones are the worst! 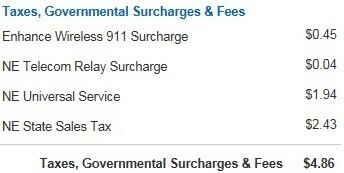 It seems like there is every regulation fee under the sun in my bills. Cable and cell phone fees are the worst, in my opinion. We cancelled our cable 3 years ago and never looked back. We use Netflix and pay for high-speed internet instead. We save $80 a month in doing so. We could save more like 110 /mo if we cut our internet speed down, but we live in a highly-populated area, so our internet needs the extra boost. I used to be with a bank that charged me $1 for every check I wrote that cleared. It was frustrating even though it was such a small amount. I asked how to get rid of this fee and the bank tried to sucker me into buying another box of checks, as if I needed it. After other problems with this bank, I left it and went to a local credit union. Great post! There are so many hidden fees that come out of the woodwork when doing almost anything these days especially when it comes to filing for a loan. Many credit cards have a fee for when you do not make payment online and would rather call/mail in your payment. Thanks for bringing this topic to light!